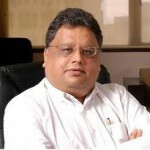 Rakesh Jhunjhunwala‘s official portfolio has now been bared by moneycontrol.com in a yeoman service to Rakesh Jhunjhunwala‘s millions of devoted followers across the Globe. Sometime ago we made the astonishing discovery that if one had simply bought shares that Rakesh Jhunjhunwala had bought, the investor would have made a sizeable profit (see Rakesh Jhunjhunwala’s Latest Portfolio, Holdings & Best Buys). Also, even if Rakesh Jhunjhunwala’s stock picks don’t turn out to be multibaggers, the investor can rest assured that because these shares are in good companies with sound fundamentals and quality management, the investment is quite secure (see Rakesh Jhunjhunwala’s investment techniques). Of course, one must bear in mind that Rakesh Jhunjhunwala has had his own share (pun intended) of shares that have not taken off. So, the investor must be cautious not to blindly buy the shares that Rakesh Jhunjhunwala has invested in. The said three stocks, valued at approximately Rs. 2191 crores make up for 67.43% of Rakesh Jhunjhunwala‘s portfolio. Now that is real proof that Rakesh Jhunjhunwala is really a "concentrated portfolio" investor like Warren Buffett. ← Shankar Sharma’s stock picks with "Terrific Value"
hi want to know why you never advice in your any convesation to buy or sell stock as always you just howarding around inspecific conclusion. 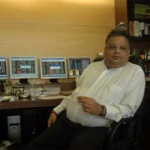 Sir,please send me Rakesh Junjhunwala’s recent portfolio with buying price & date on which He bought them. PLEASE SEND ME RAKESH JHUNJHUNWALA’S RECENT PORTFOLIO LIST WITH BUYING PRICE & DATE. I HAVE TO INVEST RS 3 LAKHS. I REALLY FEEL OBLIGED IF I GET IT. I HAVE BOUGHT 1500 SHARES OF DCB AT AN AVERAGE RATE OF RS 51. AT THIS TIME ITS RATE HAS COME TO RS 44. WILL I AGAIN BUY 3000 SHARES. KINDLY GUIDE ME. I WILL KEEP IT FOR THREE YEARS. Latest portfolio of mr rakesh jhunjhunwala and is it right time to invest in dcb,dlf,nhpc and rpower ? please send the profit wise report of shares list of mr. zunzunwal portfolio. I want meet to Mr. Rakesh , his great and vry lucky man in this world. Looking forward to hereing from you soon.